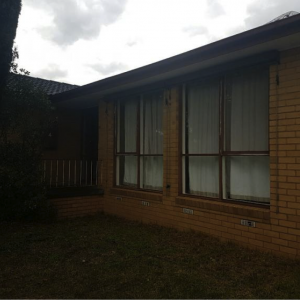 Building and Pest Inspection of a Frankston property recently had our team at House Inspections Melbourne in the south-east looking over an existing home. Purchasing a property is a big decision, so it is important you are getting all of the correct information on your planned purchase. After all, it’s a long-term investment and you want to avoid buyers remorse when purchasing your new property. When you book a building & pest inspection we send out two sets of eyes to look at the property. Effectively we combine our pre-purchase inspection with our timber pest inspection to give you the most comprehensive understanding of a property. According to experts Melbourne’s housing prices are being affected by a “boom”. The suburb of Frankston has seen a steady incline in median housing prices over recent years. Its close proximity to the beach and prominent transport links are pushing Frankston into high demand market. So if you were interested in a property how do you get the best deal and make sure you know what you are buying? Building Inspections – these detailed documents provide clients with thorough information regarding the property and the materials that its made of; this is to provide information on the condition of specific areas. What’s damaged, what needs attention and everything in between. The range of uses is fantastic, from a strategic way to gauge if your tenants are looking after your property, to selling and buying property, using property inspections will help you make decisions on the right property. Our recently inspected Frankston property produced a condition report, detailing and highlighting the different areas needing attention. Main areas of concern were major defects in the building and factors which posed safety hazards. Wood rot decay was causing excessive movement of timber floors, which will need to be replaced by a professional. Further inspection of the bathroom and wet areas exposed poor tile condition, damaged sealant and leaks. External examination of the property revealed missing gutters, poor fence condition and wet rot damage to window framing. The timber pest inspection found no evidence of termites inside the home, but subfloor and external areas of the home showed indication of an attack. External leaks to the hot water and guttering system create wet areas conducive of termites. Given this information House Inspections Melbourne highly recommends treatment of the property. Overall the Frankston home was found to have a high incidence of minor and major defects when compared to the average condition of similar buildings. The team at House Inspections Melbourne can help you find the right professional tradesmen specialising in plumbing, carpentry, electrical and termite treatment to ensure a safe living environment. Contact Geoff and the team to book your next inspection.